How to Store Patio Furniture for the Winter. During the fall, many people enjoy sitting outside in the cool air on their patio furniture. 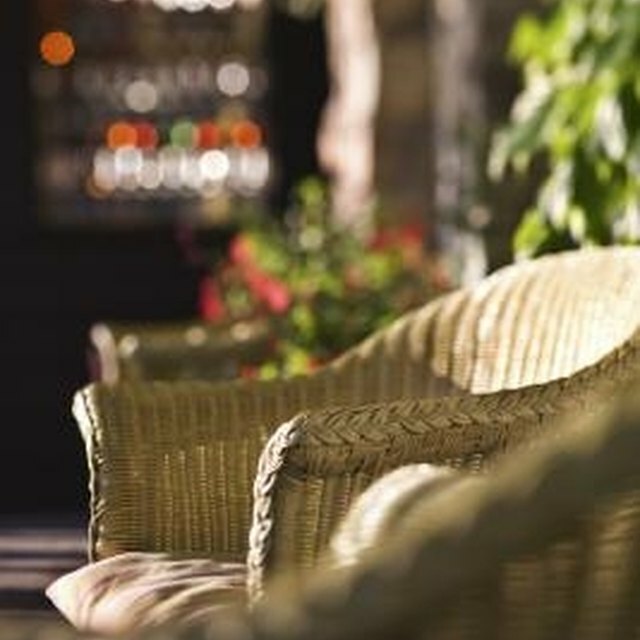 As the temperatures start to drop, it is time to store patio furniture for the winter. When you store your patio furniture, it will last much longer than subjecting the furniture to the harsh winter elements. Clean off all of the dirt and grime built up over the last 6 months or more. Use a soft scrubbing cleaning solution and sponge to clean the furniture. Inspect the patio furniture for any wet spots. Dry the furniture as needed. Bring the pillows and umbrellas into the house for safe keeping. Stack lightweight chairs on top of each other. Stacking the chairs will give you more storage space for other furniture. Also, stacking the chairs will give the chairs additional weight to stay on the patio during winter storms if indoor storage isn't available. Carry the chairs to a garage or other indoor storage space. If you don't have indoor space available, place a large chair cover over all of the stacked chairs. Carry lightweight tables to the storage area. Cover the tables and stack them on top of the chairs if there is room. Stretch heavy-duty patio covers over the heavier pieces of furniture which will stay outside during the winter months. Tie the covers onto the furniture so it doesn't blow away in harsh winds. Tying the covers down will also keep water and snow from blowing onto the surface of the furniture. Brush off all of the snow collecting on the furniture throughout the winter months. As the snow melts, water has an uncanny knack of finding its way to the furniture, causing damage when it freezes again.